Mr. Anthony Glavin is a fully qualified professional soccer coach and current holder of Scottish Football Association (SFA) 'A' Advanced License, and USSF 'A' License. Mr. Glavin has been committed to youth soccer in the St. Louis Metropolitan, St. Louis County, and St. Charles County areas for over 25 years. His lifetime of soccer experience started at an early age as a youth player in Scotland, followed through the professional ranks as a player and coach. Currently Director of the TG Soccer Club, Head Coach for St. Louis Lions of the USL/PDL League, and a former staff member for the Region 2 U.S. Olympic Development Program (ODP). Mr. Glavin’s career started at the early age of 12 with the team Patrick Thistle in Glasgow, Scotland. He was signed to a schoolboy form and was coached through their youth development system until the age of 17. At that time he moved across the City to another famous Scottish club, Queens Park F.C. which was renowned for their highly successful youth development programs. After a short time with Queens Park he made his professional debut in Scotland, where he competed for two seasons, playing as a regular starter in the first team in over 90 games, and making his name known in Scottish soccer, and internationally. In 1978 at the age of 19 he signed with the Philadelphia Fury of the North American Soccer League (NASL), and moved to the United States. During the three seasons and over 70 games of playing in the NASL he earned many accolades, became a fan favorite, and due to his explosive style of play he was nicknamed the “Pocket Rocket”. In 1980 Mr. Glavin came to St. Louis on a loan for one season to the St. Louis Steamers of the Major Indoor Soccer League (MISL). At the end of the season the St. Louis Steamers were able to persuade him to stay with the team, and signed him on a multi year contract. While with the Steamers he accumulated many awards, such as top goal scorer, team MVP, three time selection to the All Star team, All Star MVP just to name a few. His career as a player came to an abrupt end when a severe knee injury caused him to retire from playing at the age of 27. Mr. Glavin remained a valuable asset to the Steamers organization, and shortly thereafter was appointed as Assistant Head Coach. In addition to his coaching duties he was the Director of Community Relations, Travel coordinator, and Director of Summer Camps for the Steamers. In 1987 Mr. Glavin was named Head Coach for the Steamers, with General Manager Responsibilities as he helped the owner manage the club and its $3M annual budget. Player contracts were also added to the many duties he performed as Head Coach. His coaching career took him to Kansas City in 1989 where he served as Assistant Head Coach for two years, and thereafter he was named Head Coach of the Dayton Dynamo of the National Professional Indoor League (NPSL). Mr. Glavin’s list of coaching accomplishments include, developing players for high school, college, professional and National team levels. Some of the better locally known players that he developed are Steve Trittschuh and Ted Eck who played for the U.S. National team, Kevin Hundelt, Chris Kenny, Jim Kavanaugh who played with the St. Louis Steamers, Lawrence Olum (Austin Aztex, USSF 1), Tommy Heinemann (Columbus Crew MLS), and Steven Beattie (Toronto FC MLS). Some of the many College players developed under Mr. Glavin’s direction are, Philip Vanacht (Stanford University, CA), Jeff Moellering (Webster University, MO) Joe Anderson (S. Missouri Baptist, MO), and Tim Stewart (Washington U) along with hundreds of elite high school players. Mr. Glavin has built the Tony Glavin Youth club from 11 teams in 1994 to 40 teams in 2011, the age ranges from 5 through 18 both boys and girls. The youth club continues to flourish and produces promising young players ready to move into college careers. In 2005, he was awarded a franchise in the United Soccer Leagues Premier Development League (USL PDL). That franchise became the St. Louis Lions and Tony has served as Head Coach since the team’s inception. The St. Louis Lions have been key in placing over 30 players into the professional ranks both domestic and internationally. Tony Glavin also owns and manages the Tony Glavin Soccer Complex, located in Cottleville, Missouri. The complex consists of 20 acres which include 5 full size outdoor fields and an indoor training facility. The complex is the home to the Tony Glavin Soccer Club, The St. Louis Lions Elite Academy (USL Super Y), and the St. Louis Lions USL/PDL Soccer Team. The Facility also hosts a number of programs for youth players, such as camps and tournaments, ran by Mr. Glavin. In 2011 the Tony Glavin SC and the St. Louis officially became a partner with Celtic Football Club, which allows Tony Glavin’s youth academy of every age partnering with Celtic coaches to further their individual training as well as establishing connections with not only Celtic but further worldwide footballing organizations. Celtic FC coaches from Glasgow, Scotland come to St. Louis each summer to run a summer camp at the TG Complex. And a few TGSC coaches each year attend the Celtic International Coaches Convention each year, held at Celtic FC. In 2012, Tony was inducted into the St. Louis Soccer Hall of Fame. On December 14, 2015, Tony Glavin returned to the indoor game when he became Head Coach of the St. Louis Ambush, professional indoor soccer team. On October 6, 2016 the announcement came that he would be part of the new ownership group, and co-owner of the St. Louis Ambush, Ambush Soccer, LLC. The WPSL team will be coached by TGSC Assistant Club Director, Geoff Lorimier. Geoff has been with the club since 2001 and holds the USSF National C License. He has been an assistant coach with the St. Louis Lions Men's team, in the PDL, since 2015. In 2018, Claire was named the Goalkeeper Coach of the St. Louis Lions WPSL team. Coach Lovercheck worked with the Lions Goalkeepers on their strength, fitness, skill, and agility. Claire was instrumental in the success of the defense that gave up less than a goal a game. Lion’s goalkeeper, Olivia Silverman was named to the Heartland Conference All-Conference team after the 2018 campaign which saw her goals against average at 0.86 and earning 4 shutouts. Lovercheck has also been the Assistant Goalkeeper Coach for the Hazelwood Central High School Boys Varsity team since 2012 and serves in the same position with the Francis Howell High School Girls Varsity team since 2017. Lovercheck was a Goalkeeper at SIUE from 2008-2012 earning OVC Player of the Week honors in 2012. 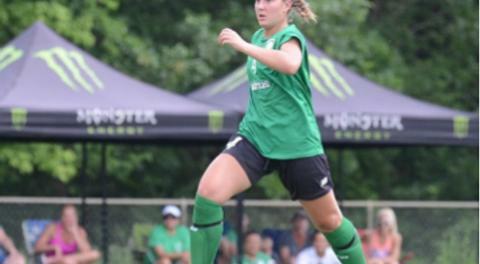 She was also a 4 time State Champion and National Champion during her playing career with St. Louis Soccer Club. Claire currently holds a United States Soccer Federation (USSF) – National D License certification. The St. Louis Lions would like to welcome back Stacie Muehling to the 2019 squad! 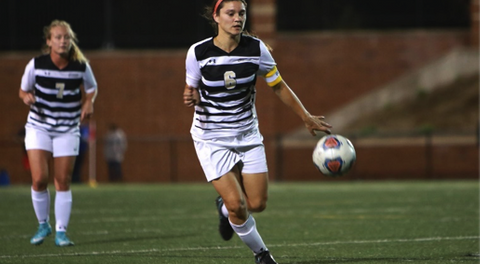 Excited for the Return of Lions Center Back, Brittany Steiger! 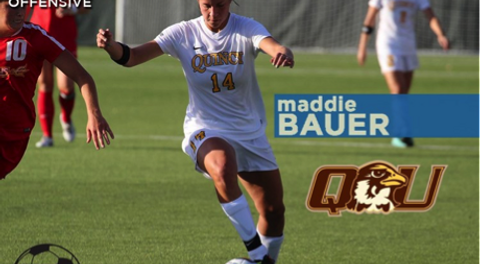 Help Us Welcome Back Forward Maddie Bauer for Lion's 2nd Season! 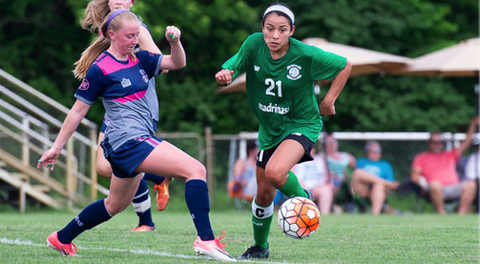 The Lions Welcome Back Cristina Rodriguez for the 2019 Season!